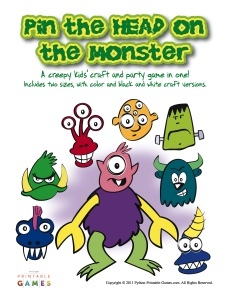 Printable Halloween pumpkin face stencil craft sheet pattern features a hideous monster face design. Use this pumpkin face carving pattern to carve a real or artificial pumpkin or make paper of felt cut outs from the facial features and glue them to a paper pumpkin, lantern or paper bag to create a Halloween decoration. 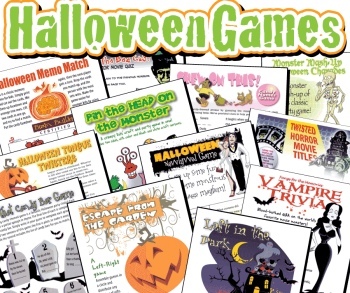 Halloween Party Games Pack: over 50 printable games for all ages! Word games, group games, trivia and many more! Click for details and pricing.